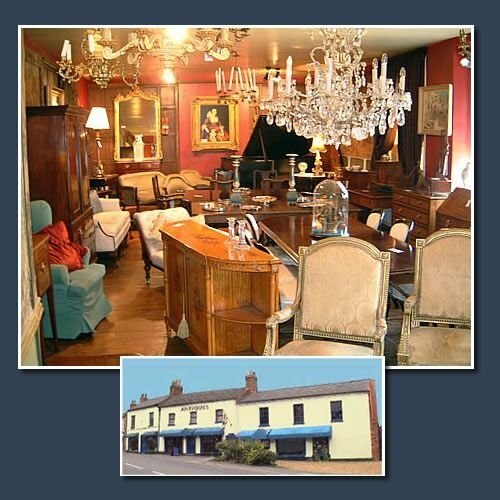 Our Extensive Showrooms, some 15 in all, (7500sq feet) offer a Vast Selection of Antiques from all Periods, Displaying good quality Furniture Pictures Clocks and Decorative Accessories, with Showcases Displaying Porcelain, Silver, Glass, Jewellery etc. You can furnish your home with genuine Antiques just like you see in Downton Abbey. Here is a Selection of some of our Stock, we have 1000's of other items for sale. IT IS WORTH REMEMBERING that Antiques have stood the test of time, they are still with us, and have increased in value in most cases, unlike many contemporary items we buy today. You can buy a very nice Antique for £5000 but one would be hard pushed to find a new car for that money which will depreciate rapidly, and apart from the continued enjoyment, you will have an investment to pass down to your family.